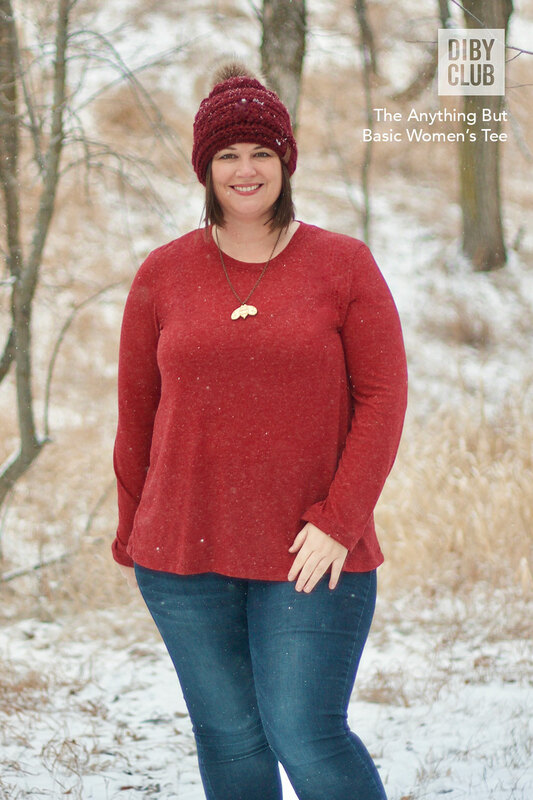 The ABB Tee (Anything But Basic Tee) is the perfect free shirt pattern for the beginner sewist! The relaxed fit will make it the most comfortable t-shirt in your closet. 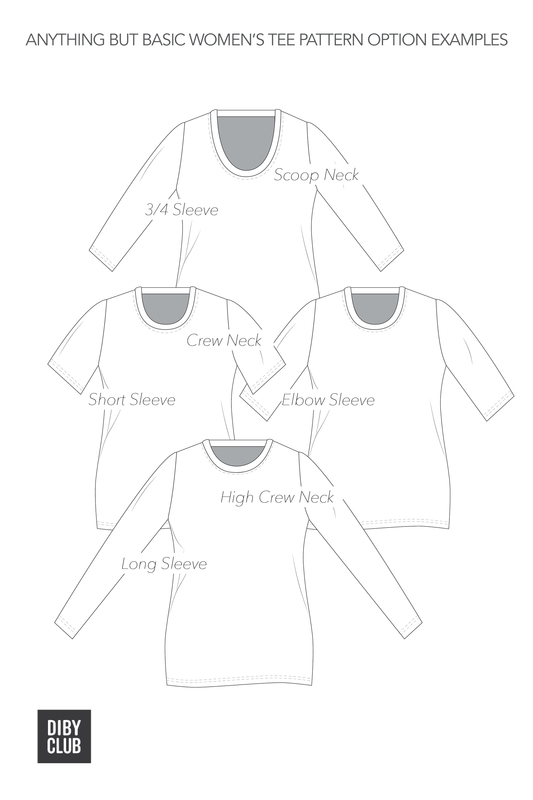 The ABB Women’s shirt pattern is part of our collection of easy sewing patterns. 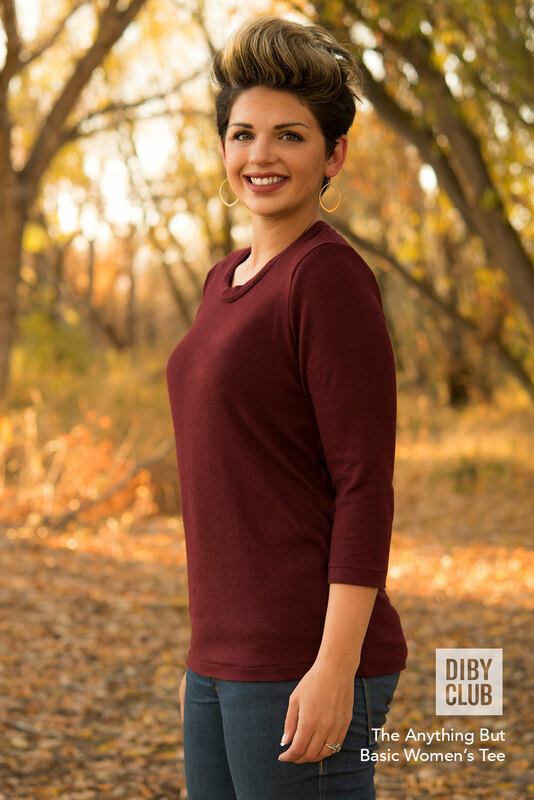 Now everyone can enjoy learning the basics of garment sewing with this free, easy-to-sew pattern. See The ABB Tee in more sizes and options! Very lovely pattern, great fit and easy to make! Ladies! 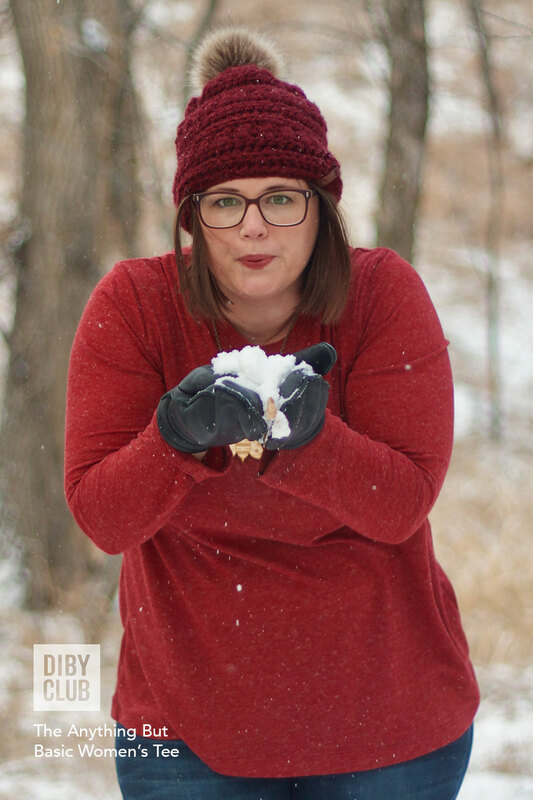 Get this pattern for all the women in your life… its an easy sew and a perfect fit! As always DIBY gives you all the information you need to get the perfect fit for YOUR body! Great pattern. Fun to make. Made two tee of the same fabric using this pattern and the anything but vasic men’s tee. Disclaimer: I have not yet sewn up the pattern so my review is based solely on the instructions. The instructions that Jessica and crew have created with this are phenomenal. Very thorough and provides a TON of tutorials, links to other freebies to help with the construction and altering of a pattern. 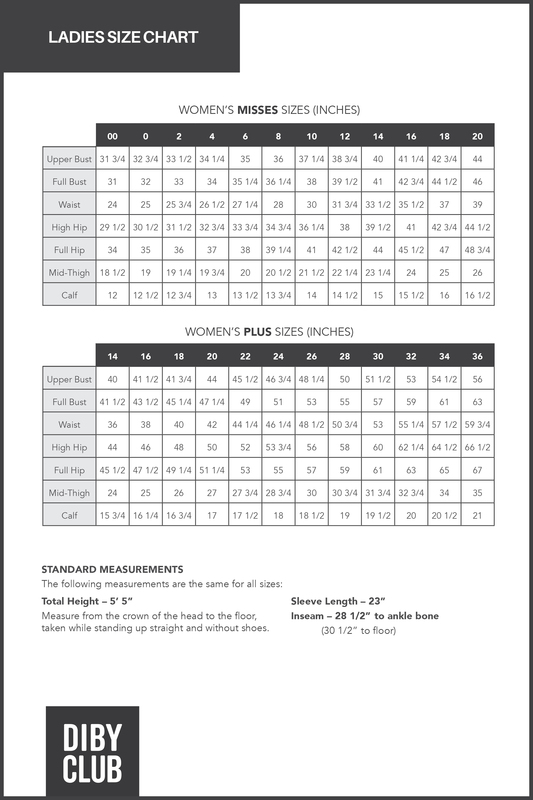 Most patterns are drafted for a 5’5″ female and being 5’2″ I always have to shorten my patterns. These instructions tell you PRECISELY where to split the pattern so that you get the best fit possible. Same thing with Full Bust Adjustments and many other tutorials… I haven’t quite finished exploring all of the different things in the instruction booklet. 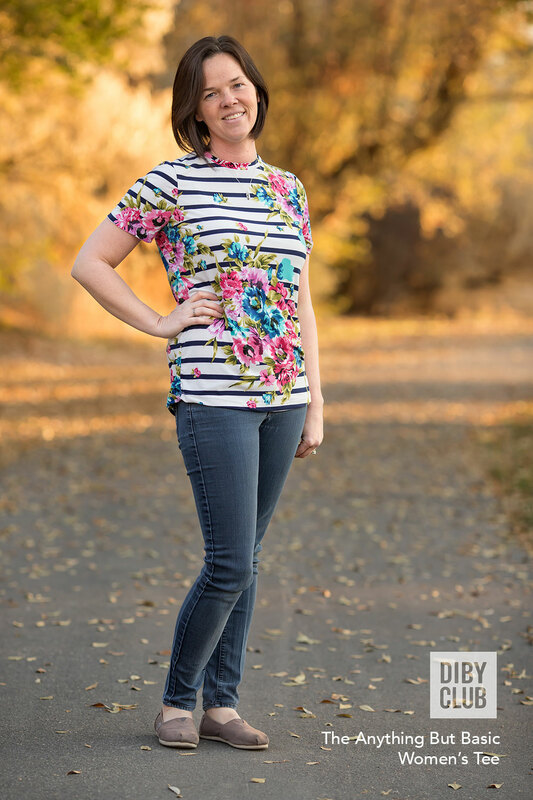 Between thorough instructions and having 2 separate patterns drafted up for Misses and Plus Sizes, I have never been more excited to sew up a pattern… I see a TON of these in my future! As always, great pattern! 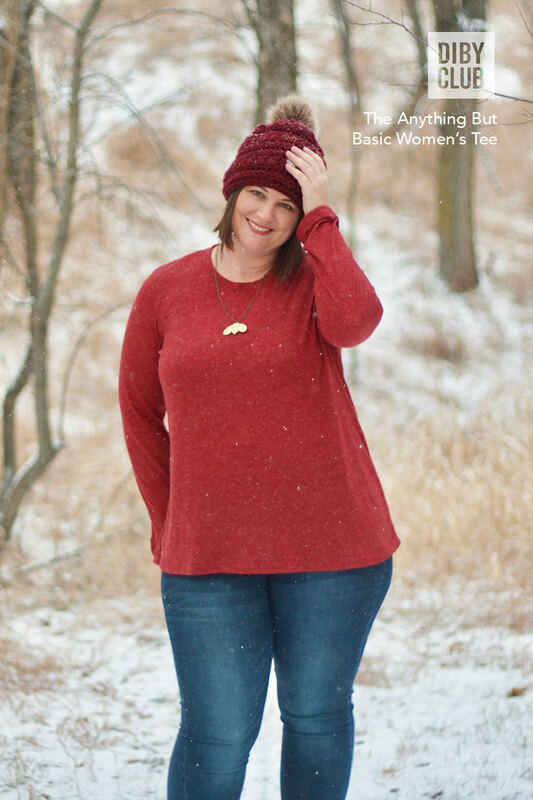 We all need a basic tee in our wardrobe and FREE makes it even better! 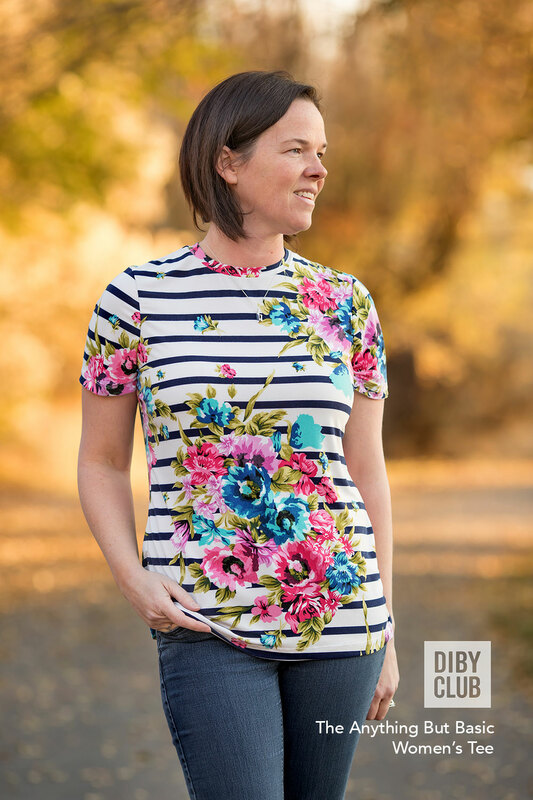 DIBY patterns are amazing and the t-shirt i made from this FREE pattern is one of my favourite pieces of clothing! This is so helpful. It is crammed packed with useful information to help you succeed making a tee that fits and looks well made. Great presentation, clear instructions all makes for a winner. I am now on my third ABBT – which shows I like it! I did my usual shortening and sloping of the shoulder and widening of the bicep. I have been making them to wear under winter clobber so high crew neck for warmth’s sake. Will be making more – probably with different necklines for better weather. My go-to top for 2019. 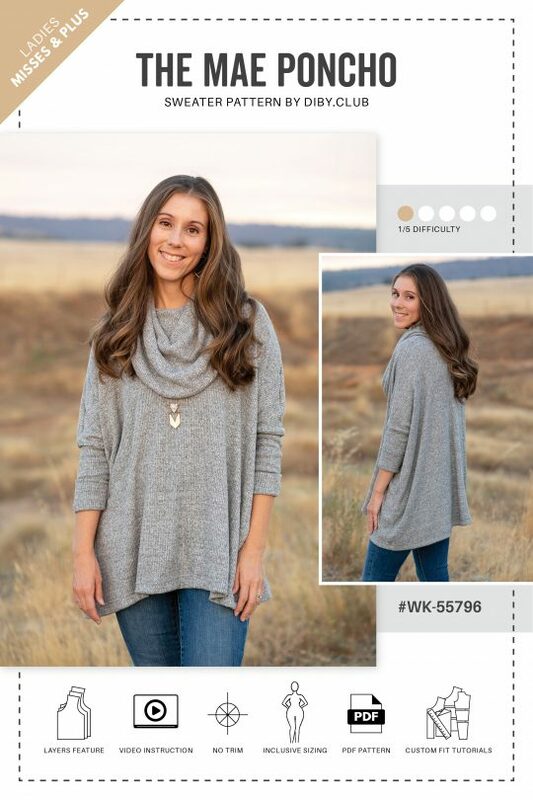 Easy to make, comfy to wear. Love it. This is a great pattern with great instructions. It’s easy to mix it up and make it with different fabrics so you can make 10 of them and have them all be unique. Great pattern. This is a great pattern. It is very beginner friendly and easy to work with. It fits amazingly too. I also found the directions very easy to follow. 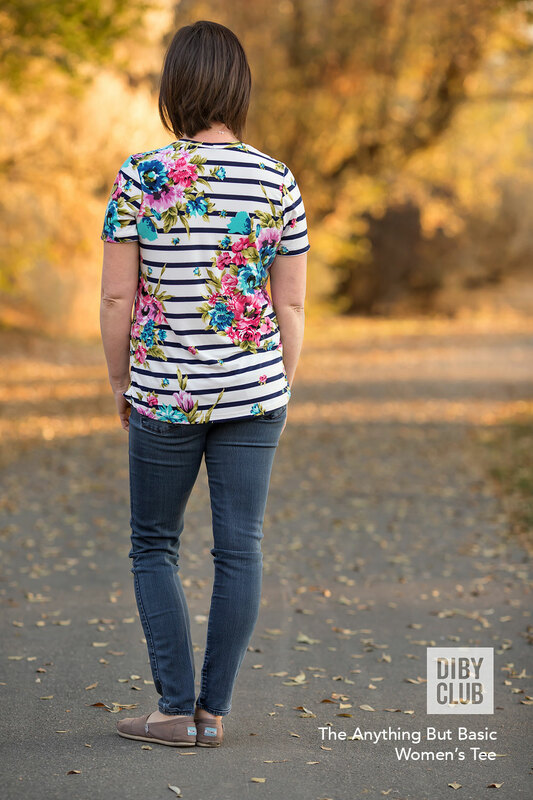 Love this pattern,great sizing and instructions.Sews up really quick.This pattern gave me my sew jo back .Big thanks to Jessica and team for all your effort.